All you mama's out there know, sometimes, we need some alone time in the bathroom. I always have a bathroom buddy. He wants to get into everything while I go to the bathroom, wants to be in the bath tub while I shower.. Wants to pull everything off shelves and out of the cupboard. So, when it is bed time, this mama wants to take some me time. I have found that with Honeycat Cosmetics, I can do that. I get the time to relax in the tub, without all the boats and books from my son. When I get out, I always feel refreshed. The way the Honeycat Cosmetics have their products packaged I think is just part of the fun. I know many cat lovers, and this would make puurfect gifts for them. I received three items to try, and I would love to tell you about them. The first item I would like to tell you about is, Cat-Bernet Sauvignon Red Wine Shower Gel. I love that the bottle alone looks like a smaller bottle of nice wine, if you are clumsy, don't worry it is plastic. The smell is like a very sweet grape wine smell, but while using it you don't need much. A little goes a very long way. This product lathers so well, which is something I really like in a good soap. This bottle is 14.5 ounces. I loved that the smell was not to overpowering after washing with it, but it was still there. Rub My Tummy Body Cream is the greatest. It doesn't leave your body feeling greasy at all, which is one of my biggest pet peeves. This has a light smell of almond, which is very pleasant. I love that it is actually very thick and creamy. So, again a little goes a long way. And the scent, and feeling of having body butter on you last for much longer then the products you can get at your local stores. Ok, now to my favorite packaging ever! Chick of the Sea Foaming bath salts. This comes in what looks like a wet cat food can. And smells so good. I didn't use much in my bath. And typically when I use bath salts, I just end up being frustrated that when I go to sit in the tub I can feel the salts all over on my bottom. These dissolved great. And smelled wonderful, chocolate amaretto, and mint lightly came over my bath tub, which just made me feel like I was delicious. To find out more about all of these products, plus many many more please click here. My family loves fruit. My son however can't eat all fruit yet, but he surely tries. So, when I found Big Slice Apples I thought they would be a prefect alternative for him. He usually gets applesauce, which he likes, but he only likes to feed himself now. I was lucky enough to be able to try Big Slice Apples, and my son couldn't have been more happy about trying them. They are a great on the go solution when you want to have fruit, but in a different way. We were lucky enough to be able to try a few of these products from their line. They are great for all sorts of different things. You can literally cut open the bag, and dig right in with a fork or spoon. Or, one of my sons favorites was on top of pancakes and french toast. I put this in my oatmeal in the morning and loved the flavor it brought to my oatmeal. My husband loves Big Slice Apples in his plain yogurt in the morning. My personal favorite was the Cherry Vanilla. It was the perfect blend of kettle cooked apples, cherries, and a hint of vanilla. My son also loved this flavor. He loves to share anything he can with mommy and daddy. I put these in my husbands lunches, and brought them with us on the go for my son to have a snack he didn't need medicine with. These were also perfect for in the morning, my son refuses breakfast first thing in the morning. But he will always eat fruit. So I would open up the package, put it in a bowl for him, and he would go to town. If you would like to find out more information about this product, please click here. I live in a house hold of candy lovers. We all have a huge sweet tooth. I just hate knowing what terrible things are in the candy at your local convenience store. So, when I found Lovely Candy Co. I was super excited to see that they are a company that are non gmo AND gluten free. I received six flavors to sample and tell everyone about. Let me tell you about all of them. I can't pick favorites here, because honestly they are all so good. My husband even likes them and he is picky. I have had to hide them from both of us multiple times. Chocolate Chews were my son and my husbands favorite. I loved that they didn't taste fake. They don't stick to your teeth at all. Which is great. They have a more rich real chocolate flavor. Super Fruit Chews are a great fruit flavored candy. They did stick to the paper a little, but I am positive it is from Michigan humid weather. Never the less, I got quickly addicted. This bag has three flavors, Blueberry, Cranberry, and Raspberry. These are some of the thickest caramels I have ever seen in my life. They are so great! If you are ever having a craving two of these will take care of it. And you think, caramel it is going to stick to your teeth. But, it doesn't! These are so so delicious. Raspberry Chocolate Chews are the perfect blend of Chocolate and Raspberry. So soft and chewy. In this bag you will find apple , blackberry, and cherry chews. These are vegan approved. They have real fruit in every chew. Ok, so these Chocolate Swirl Caramels. They are the perfect blend of chocolate and caramel. And just like the regular caramels, they are so big! These are definitely one candy that haven't lasted long in my house. To find all of the great products from this company, please click here. I don't know about you, but I LOVE Parmesan Cheese. It is a staple like no other in our house. My son eats in on everything. Probably because I eat it on everything. That being said, I was so excited to be able to try the full line of Mama Francesca Cheese Products. My whole life, I have used an incredible amount of Parmesan Cheese on everything. I will eat just plain buttered noodles, if I have Parmesan Cheese to put on it. I have seen Mama Francesca at my local gas stations where they serve fresh pizza. I had to try it. I was hooked from first bite. The first flavor I would like to tell you about is, of course none other the the classic Parmesan. I tried this first, because I wanted to know if it tasted better then what I normally buy. I used this on a bowl of noodles for my son and I. Afterword, I got out the other "stuff". I couldn't stand the taste of the other "stuff" not only did this taste fresh, it was grated so perfectly. It was not a powder like what I am used to seeing now. It was simple and delicious. The next flavor I would like to tell you about is the Parmesan Asiago and Romano. I am not going to lie, this is one of my favorites. I put this on everything. But for review purposes. I wanted to try this all on something very simple, so noodles it was. This was packed full of flavor. My husband who is a cheese lover ate this one right up. It was so great. The next flavor I tried was Parmesan basil and oregano. The seasoning in this was perfect. I was a little weary before trying it. Only because I don't normally eat herbs that are uncooked in foods. So I thought the flavor would be to strong. But, I was definitely wrong. It was great. It can turn something bland into something delicious. I would like to talk to you next about the Parmesan and garlic. I am a garlic lover. This actually only lasted a few days. It was amazing to eat. I put it on anything I could think of, just to be able to have more. The blend is perfect. Parmesan and Romano is next. A more simple cheese I must say, but don't think simple means not as good. It was great. This is another cheese my son wanted more and more of. He was licking his fingers and making sure to get every last little bit up on his tray at dinner. Parmesan and Red Pepper is perfect for pizza among other things. I know my family loves putting both on our pizza. And with this, you don't have to worry about if the pepper flakes are going to get stuck. Where you end up spending what seems like forever shaking the perfect amount on your pizza. I think every pizzeria across the nation needs to have this in their restaurants. It is the best. I have not found one that I didn't like. I will not be able to go back to what I used to buy, because now it tastes bland and disgusting. This is great. I have used it in cold pasta dishes, warm pasta dishes, and I even have tried a few dishes off the Mama Francesca website to see what else this can do. If you would like to find out more information about all of these great flavors of cheese, and find great recipes, please click here. 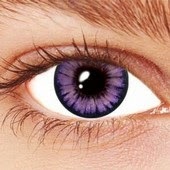 I have a very "desired" eye color. I also have always wanted to be able to change my eye color, for just a day every once in a while. I have looked into colored contacts in the past, and didn't think it was worth the price. So, when I found Dream Eyes I was so happy to see a fair price. And more colors and designs then I knew what to do with. I chose to try out the Hulk contacts, just to have a little fun. I thought these were great. I think they would work well for Halloween. I also chose the natural violet for a more every day look. With these ranging from 26.00 to 30.00 dollars it is a much better price then what you usually see in stores. I also thought it was great on how fast they were shipped to my house. Within just a few days, I had my product. Which is great! If you are looking for a change in your every day eye color. A Halloween change. A change for the club. They have everything that you need at Dream Eyes. 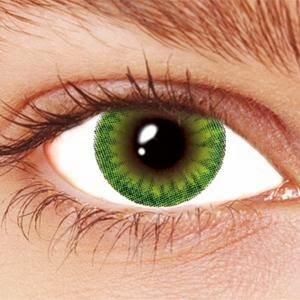 Even down to contacts that will glow in UV or Black light. It is amazing the possibilities. For more information, and to check out the amazing contacts, please click here. People who know me, know that a few years back I broke my tailbone. After my injury, I have had a very hard time with back pain. I am not really into taking pain medications. I don't feel like that really helps. When I received Therapearl to try, I was so excited to find something that would help my back. I received the Back Wrap to review. What I found amazing, these do not need to be in the freezer for long, and unlike a normal ice back, it is still very soft and pliable even after sitting over night in the freezer. I used this on my back, and it was like heaven. I also love that you don't just use this pack for a cold pack. This can also be heated up, if that is what you need to help your pain. It also works great on keeping you cool on those hot days. I like to take my son on walks every day. That can be unbearable in our summer heat. I will stick this in the freezer for a bit before our walk. Put it on my back when I am ready to go, and it keeps my body temperature down while we walk. It is so comfortable. I don't even know that I am wearing it. Keep in mind, Therapearl does not just sell back wraps. They have wraps for everything under the son. Make sure to check them out here. Peanut Butter is a huge ordeal in our house. My husband, my son, and I all love peanut butter. But we all prefer different kinds of peanut butter. My husband likes chunky. I am more of a creamy gal myself. And Jason.. Well Jason just likes the messiest kind. When I found PB Crave, I was so excited to be able to try it. We have peanut butter on toast in the morning. And though my son loves jelly, I like him not to make a huge mess. Especially on days we are in a hurry. Now, for you peanut butter enthusiast. I know you are getting super excited. You want to know, does it taste good? Are you kidding! All the flavors taste great. And in my house, we each had our favorites! Coco Bananas, which actually my mom was over. She loved this! It taste to my like a banana candy in peanut butter. The flavors mix so well together. Are you a peanut butter and banana sandwich lover? If so, this is the peanut butter for you! It also has a hint of coco and wild honey. Which makes this the perfect mix. Razzle Dazzle was my personal winner! I love raspberries. Love them. So when I opened this and tried a spoonful, I was in shock on how tasty this actually is. It does also have a touch of wild honey, as well as white chocolate chips. Cookie Nookie is my sons favorite. He would eat the whole jar if he was allowed. I have found that a little bit of this spread on crackers or toast is a perfect snack for him. It is cookie dough flavored, mixed with a bit of honey. It also has chocolate chips in it. Choco Choco was my husbands personal favorite. It has both sweet and dark chocolate chips in it. Which is great for the chocolate lover in your life. It also has a bit of wild honey in it. 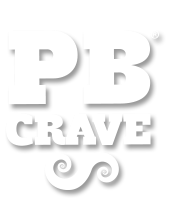 To find out more about PB Crave, please click here. 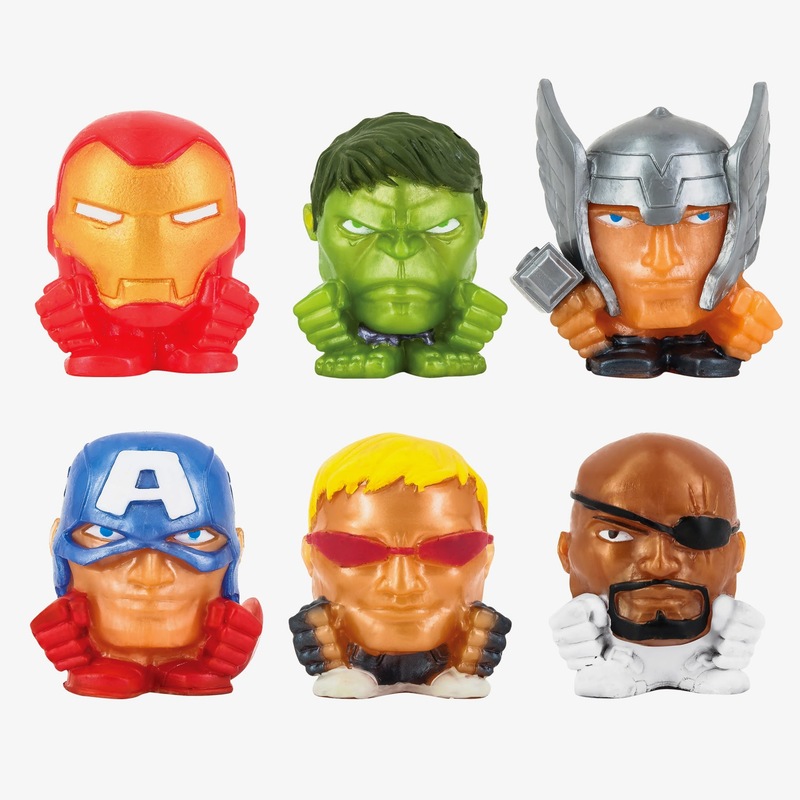 Are you looking for a fun for all ages, collectible toy for your kiddos? You should check out Mash 'Ems. Mash 'Ems are squishy, and so cute. My son and I have had a blast whipping them around the room. He loves that he can squeeze them with all his might. I love that they do not bust open and make a mess all over my house. My son had a blast with these! I love them because they are a lot like mini stress balls. We were tossing them around the house. I wasn't worried that these were going to break anything. They are so much fun. I also really like that they don't collect dirt and hair, like many other similar products do. I love that these are not just focused towards the little men in our lives. They also have Fash'ems. 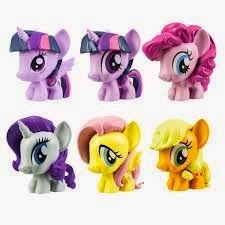 Which are cute for the little ladies as well. These come in three different ways, a capsule which holds one Mash'em. A one pack or a two pack. Some come with things to help launch them. They will bring hours of fun to your kiddos. You can find all of these great products here.